New Price!!! For sale ranch property consisting of 1,040 acres with horse facilities located in Central NM. This unique property is nestled off of NM Hwy 55 just south of Mountainair, New Mexico. About a 70 mile drive to Albuquerque and 92 mile drive to Santa Fe, NM. Property has a nice 2,100 square foot country home with three bedrooms and three bathrooms. 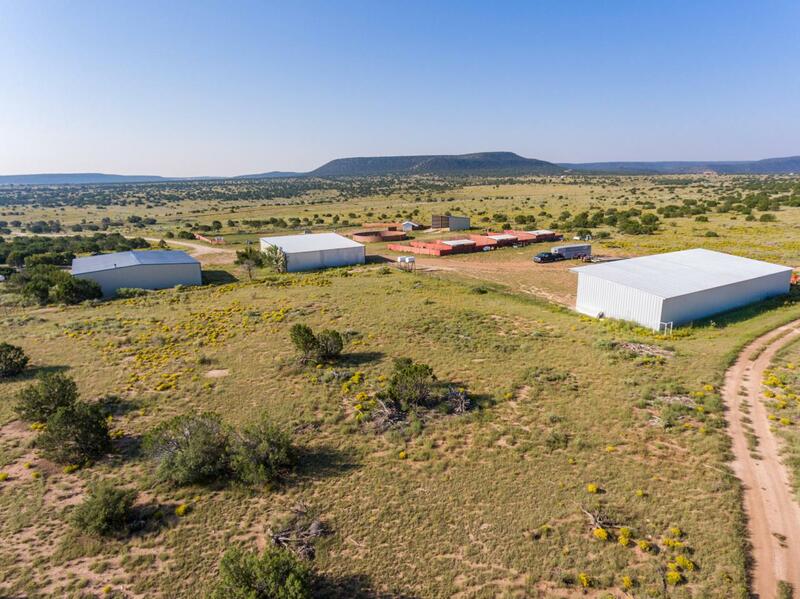 Facilities include a large three bay shop, three separate storage barns for hay or equipment, tack room, arena, pens, and a six stall horse/livestock runs with water and shelter. Property has two water wells with separate meters to service the home and water tanks. Vegetation consists of blue gramma and mixed bunch grass communities with annual forbs and pinyon/juniper.Beautiful views of the mesa's and Manzano Mountains and close to Salinas Pueblo National Monument's. Property is also available on 560 acres, see MLS#'s 901345 and 901833. The southwest rural lifestyle is waiting.